Is James Foley a Martyr? So, is James Foley a martyr? The brother and sister also spoke in slight detail about what the Pope said to the family when he called on Thursday afternoon. Michael said that the pontiff labeled James an martyr, who sacrifice would not be forgotten. Has the Pope canonized James Foley? No. Do we know that he officially said this? Nope. Did he say this in a formal pronouncement? Negative. Do I think the Pope could’ve said it? Yep. Absolutely. And I wouldn’t be surprised if he did. We know that IS/ISIS/ISIL generally offers its captives a choice: convert to their brand of Islam or die, as witnessed by the thousands of people fleeing Iraq these past few weeks. It could be that they only wanted Foley because he was a US citizen and that they would have killed him regardless, but I doubt it. I think they would have celebrated if he’d become one of them. Heck, they’ve got plenty of Westerners joining them. The man who beheaded him is possibly a UK citizen. More and more is coming out about his faith , his prayer, and the way he lived his life, particularly while in captivity. All of it suggests that he lived his faith well. If the terrorists had his family’s email addresses, then they probably knew of his faith experience while captive in Syria. They certainly would’ve done their research and there was a clear trail on the internet. Martyrdom is not something that happened a long time ago in ancient Rome, or more recently in the founding of the Americas a few hundred years ago. It’s something that’s happening a lot, most – if not all – of the time. Pope Francis is well aware of this, more so than most of us. If it takes the death of James Foley for us to realize that people are dying because of their faith every day, then that makes him even more of a witness to the truth. This story reports on the interesting angle that some Chinese media tried to use James Foley's murder as a means to attack the US, "only to be clobbered by Chinese netizens" who were outraged over this attempt use his death in this way. A number of recent stories indicate that the 76th Guards Air Assault Division of Russian Airborne Troops from Pskov has been continuing to fight in Ukraine. A decree published on the Kremlin's website, a report of documents seized in battle by Ukrainian forces, and a report of a Pskov soldier's death have come together to help validate recurring reports of Russian military presence in southeastern Ukraine. 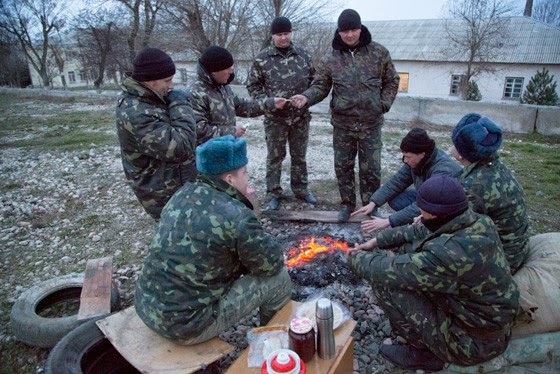 The 76th Guards were first sighted in Crimea in March. As we reported at the time, they were first noticed missing from their barracks by Lev Shlosberg, a deputy from from the Yabloko party in the regional legislature, who protested against their deployment abroad to forcibly annex the Crimea and was denounced by the Pskov Region governor. Now the official Kremlin web site kremlin.ru has published a notice dated August 18 of a decree by President Vladimir Putin that "the 76th Guards Air Assault Chernigov Red Banner Division of Russian Airborne Troops have been awarded the Suvorov Award for successful fulfillment of combat assignments of the command and display of the personal staff of courage and heroism." It is the now familiar nightmare image. A kneeling prisoner, and behind him a black-hooded man speaking to camera. The standing man denounces the West and claims that his form of Islam is under attack. He then saws off the head of the hostage. Why did Wednesday morning’s video stand out? Because this time the captive was an American journalist —James Foley— and his murderer is speaking in an unmistakable London accent. The revulsion with which this latest Islamist atrocity has been greeted is of course understandable. But it is also surprising. This is no one-off, certainly no anomaly. Rather it is the continuation of an entirely foreseeable trend. Britain has long been a global hub of terror export, so much so that senior US government officials have suggested the next attack on US soil is likely to come from UK citizens. All countries — from Australia to Scandinavia — now have a problem with Islamic extremists. But the world could be forgiven for suspecting that Britain has become the weak link in the international fight against jihadism. And they would be right. 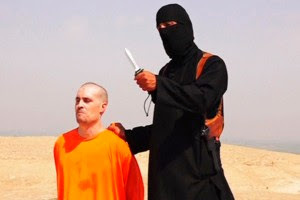 This is not even the first beheading of an American journalist to have been arranged by a British man from London. Fantastic (said with irony, for those that aren't familiar with this blog). If Britain doesn't deal with these monsters, then the world may act to clamp down on Brits traveling abroad. This weapon was reportedly photographed near Kamensk-Shakhtinsky, headed toward Russian Donetsk (map), the location of the Izvarino border crossing. 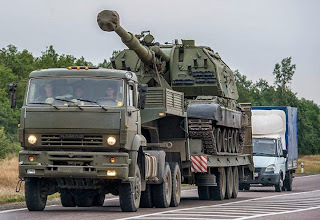 The separatists have never acquired this weapon, to our knowledge, so if this shows up in Ukraine it will be a clear indication that Russia sent it there. It will also be a significantly dangerous addition to the separatist arsenal. The pattern has always been that Russia escalates its interference in Ukraine at the same time that it elevates its diplomatic overtures. If the leaders of Russia and Ukraine are scheduled to meet on August 26th, it is likely going to be a very dangerous 7 days. Nicky Hager's book, Dirty Politics and the fallout from it has helped me decide to vote National in this election. It looks like I'm not the only one if the latest Roy Morgan poll is anything to go by. National's picked up two percentage points to give it a rating of 48, while Labour's down two to put it on a rating of 27.5 percent. The Greens have also dipped slightly on 11.5 percent and coupled with Labour they're still nine percent shy of National. With any luck, anything else Kim DotCom might have planned may turn into an own goal. If a petition were circulated for his extradition, I wonder how many would sign it? Despite giving up on Vote Compass the first time around, I was inspired (by Terry) to just fill the damn thing in and not worry about it being not specific enough. Even though some of the questions just didn't make sense to me, such as whether or not I thought Maori should be in charge of their own affairs. Such a bizarre question. It does show the inadequacy of the questions asked given it places me pretty close to National in the social conservative right quadrant, especially when National annoys me in not being socially conservative enough. Oh well, I've given them my twitter handle and they can study my small impact in twitter, which I don't really use, except for automatic notification of my blog posts. David Farrar has recommended some sort of questionnaire that determines who you should vote for based on your answers to some questions. 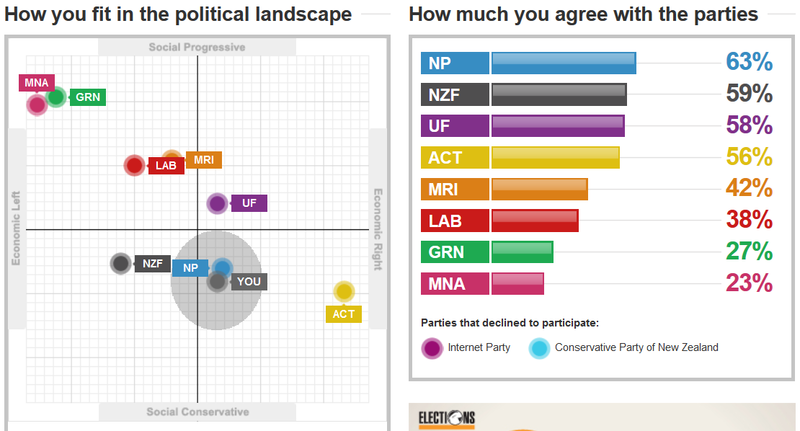 So I thought I'd give the New Zealand Vote Compass a try. I ran into problems with Question 2. "Up to what age should the government fund GP visits for children?" They don't give the current age of funding, yet they ask if it should stay the same or be younger or older. There is no option for no funding of GP visits for children. In order to answer the question and move to the next, I had to choose "same as now" or "I don't know", which were the closest to my opinion. "I don't know" implied cluelessness or lack of opinion on my behalf, so I couldn't choose that. "Same as now", implied I was happy with the status quo - which is what I chose, yet I don't know what the status quo is. It was annoying to be asked a question about something, yet not given enough information to be able to answer more accurately as to what I thought, given that it's supposedly a political compass test. At this point I decided I would write this post. I opened up a new tab, created the post, started typing and then tried to get back to the test and then I ran into another problem - I couldn't find the tab! I normally have a lot of tabs open at once, and when I started this post, I had more than 14 on my screen. So a descriptive tab title and icon is very important to me, that way I can quickly move to the tabs I need to. 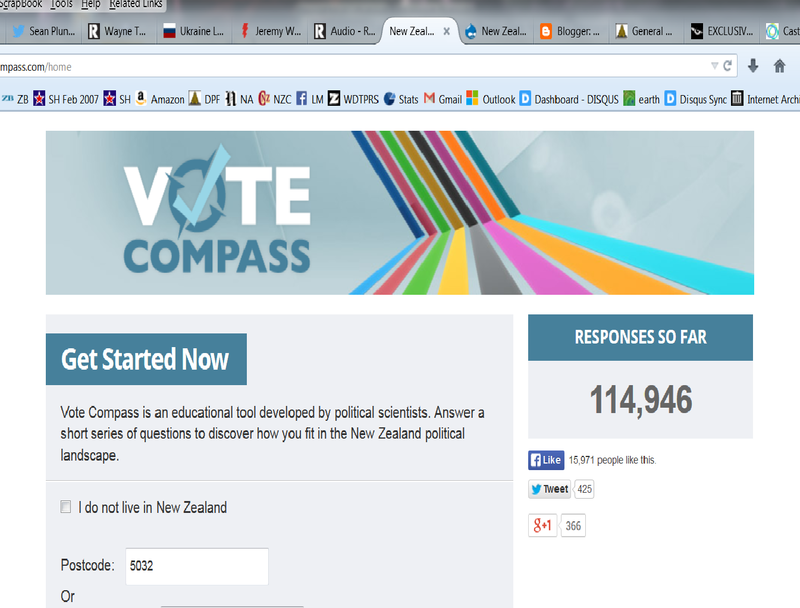 The Vote Compass website though, has no icon and the tab title starts off with "New Zealand, which makes it very difficult to identify amongst many tabs. I suggest that they change their tab title to be Vote Compass, and use that colourful graffic in some way as their website icon. Onto Question 3 which asks, "How much funding should the Department of Conservation receive?" Again, how much do they receive now? It doesn't tell me, yet I am supposed to answer whether or not they should receive the same, or less or more. Probably less, given some of their people think they can tell adventurous types that they have offended a mountain by eating food up there, but I'd still like to know how much that funding is before I proffer an opinion on their funding. I gave up, as it was too annoying. (Reuters) - President Vladimir Putin said on Monday Russia is sending an aid convoy to eastern Ukraine despite urgent Western warnings against using humanitarian help as a pretext for an invasion. 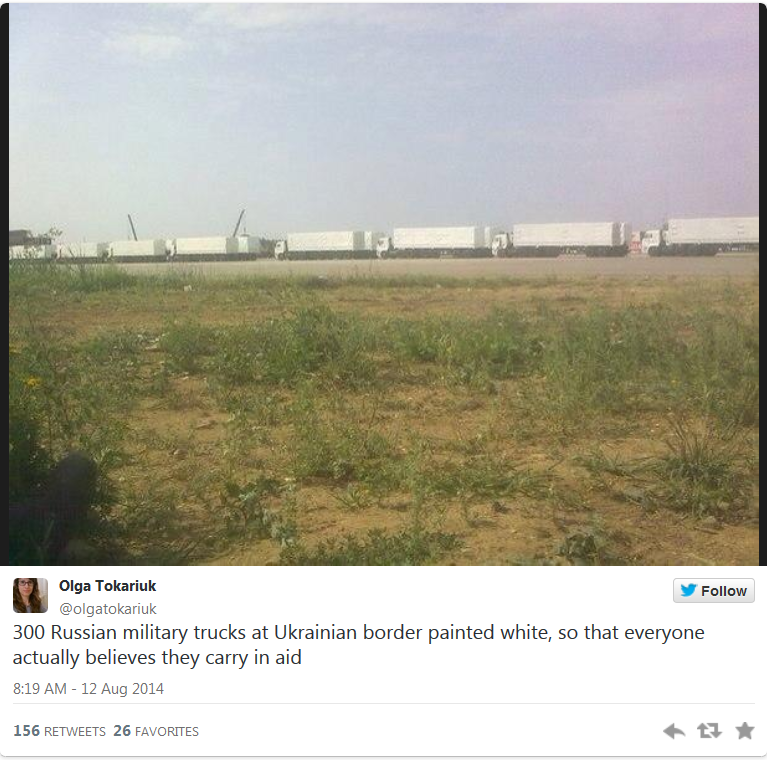 Yeah, it looks like the Russians are going to bring aid - aid to the pro-Russian rebels that is. Well, this is an escalation. Maybe a testing of the waters to see what the Russian people will agree to? The ultranationalist Russian provocateur Vladimir Zhirinovsky, head of the ill-named Liberal Democratic Party of Russia and member of parliament is tearing up the wires this week. Millions have seen his TV broadcast and 112,000 have already viewed the clip on YouTube. As Russian troops mass at the Ukrainian border, he has urged Putin to take strong action and if the West retaliates, has threatened Russia's destruction of Poland and the Baltic states. On the state-run Rossia 24 Pryamaya Lina [Direct Line] Show 8 August, Zhirinovsky said only one person would decide about the invasion of Ukraine regardless of any plans of NATO or the US, and that will be President Vladimir Putin. What will remain of the Baltics? Nothing will remain of them. NATO airplanes are stationed there. There's an anti-missile defense system. In Poland -- the Baltics -- they are on the whole doomed. They'll be wiped out. There will be nothing left. Let them re-think this, these leaders of these little dwarf states. How they are leaving themselves vulnerable. Nothing threatens America, it's far away. But Eastern Europe countries will place themselves under the threat of total annihilation. Only they themselves will be to blame. 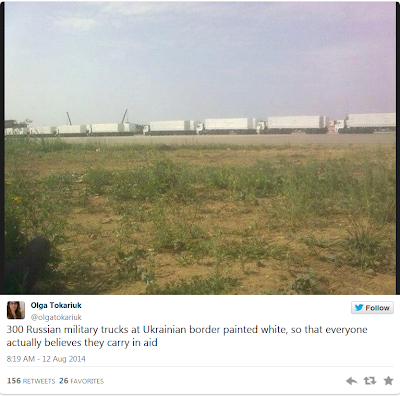 Because we cannot allow missiles and planes to be aimed at Russia from their territories. We have to destroy them half an hour before they launch. And then we have to do carpet bombing so that not a single launch pad remains or even one plane. So -- no Baltics, no Poland. Let NATO immediately ask for negotiations with our Foreign Ministry. Then we'll stop. Otherwise well have to teach them the lessons of May 1945. Zhirinovsky alone is not in a position to make good on such threats. But the voice of extremists such as himself and others have been heeded by parliament, as they first authorized Putin to use force if need be on Ukraine in March, then approved (with one dissenting vote) the forcible annexation of the Crimea on March 18, then coyly withdrew the consent for the use of force in June -- which of course is not really required for Putin to take action anyway. Russia is currently run by lunatics, some of them with a massive case of little man syndrome. I need an alternative way of contacting you. Please check your Gmail to start with. The irony being that the Green Party would be allowed to exist in Israel, but not in Palestine. A party full of tree hugging atheists would not last long in Hammas controlled zones. What is happening in Gaza is not the fault of Israel. Were Hamas to surrender, lay down their weapons and identify all the tunnels they have been building for some sort of future attack on Israel, then Israel would stop. I know Pope Francis has called on both sides to stop, and I support him in that. However, if only Israel were to stop, then the attacks from Gaza would continue, because Hamas do not fight honourably. As Muslims, they would see the humane ceasefire as a sign of weakness, and it would motivate them to keep the conflict going. The Israeli Ambassador is welcome here in New Zealand, and I for one object strongly to anyone calling for him to be sent home.